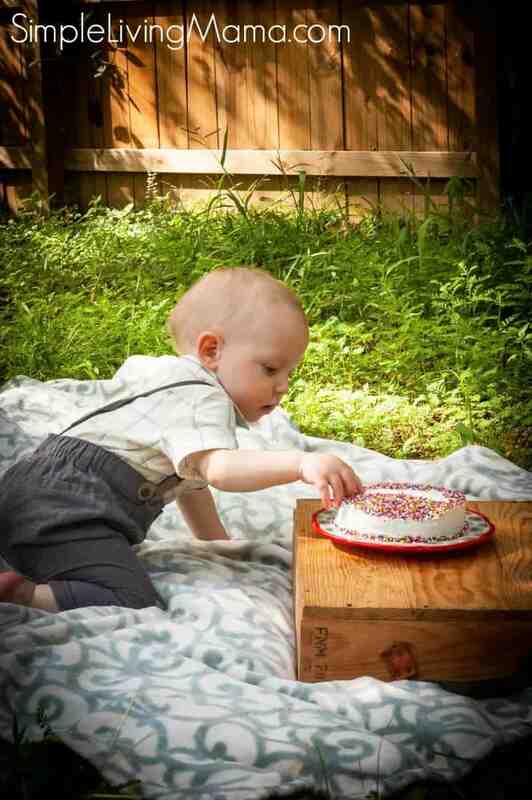 My sweet, little baby Elijah turned one last weekend. It seems like just yesterday I was writing his birth story and recovering from spending a week in the NICU. I am known for simple birthday parties. When you have a large family, blowout birthday parties just aren’t in the budget, and I really believe an at-home party can be just as memorable. 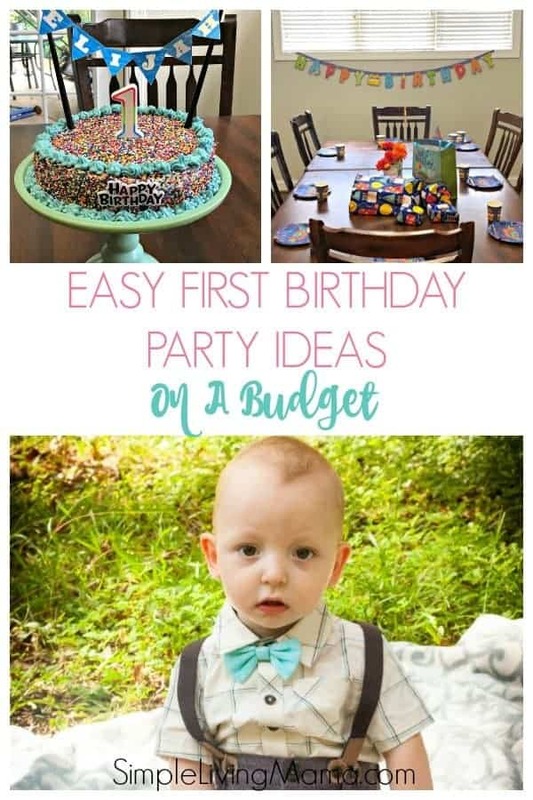 I decided to put together a list of easy first birthday party ideas on a budget. Besides, a one year old has no idea what’s going on anyway! That first birthday party is all for the parents and guests! So, excuse the messy cutting board. 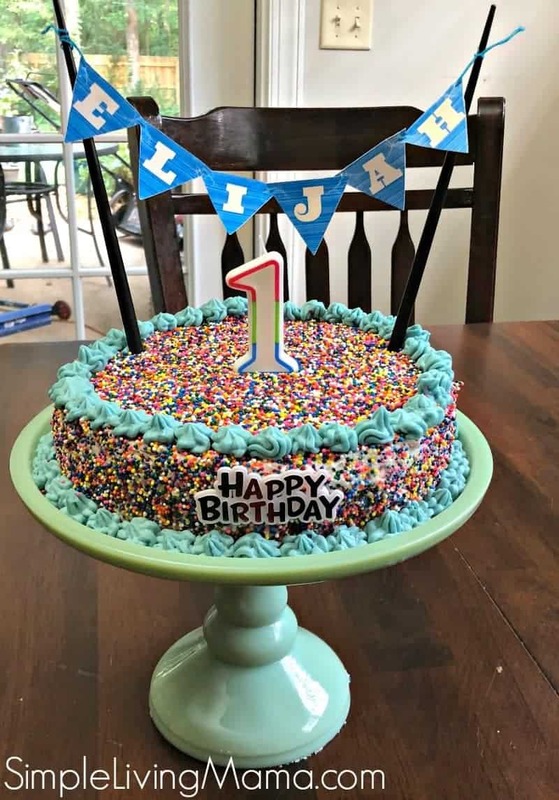 I wasn’t planning on turning this into a blog post when I took the picture, BUT I discovered that making a smash cake myself was super easy! Wilton sells a small 6 x 2 inch cake pan. I simply made up a batch of Duncan Hines white cake mix and poured about half of it into this pan. I baked the rest of that mix in a larger cake pan. I ended up using store bought whipped icing for the smash cake. I smoothed it with an icing spatula and icing smoother from Wilton. I printed out a large 1 on paper, cut it out, and placed it in the middle of the cake. Then I sprinkled rainbow sprinkles all around it. 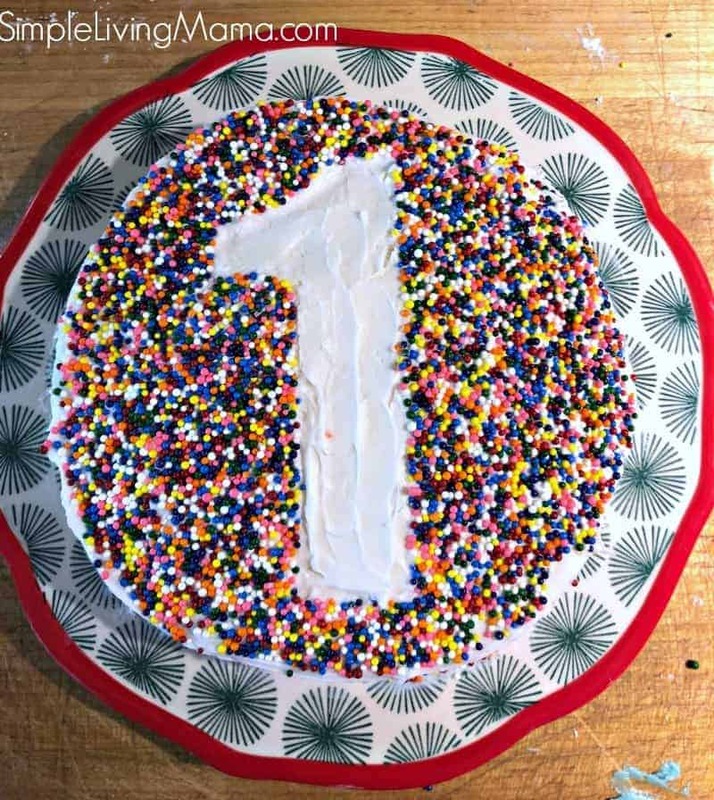 When I was happy with the way the sprinkles looked, I pulled the 1 off. I attempted to smooth the icing, but didn’t get it perfect. I’m a totally novice cake decorator and this was literally the first time I ever worked with any of those tools, so I was happy with it. I also decided to make his actual birthday cake myself. I made two layer cake by watching tutorials on YouTube. I even made my own batch of buttercream icing. I was so hesitant about my husband purchasing my KitchenAid mixer back when he was deployed, but I literally use that thing at least two or three times a week. Such a good investment. Once again, I smoothed the icing with the icing tools from Wilton. I let the cake firm up a bit in the fridge, then sprinkled it, too! I love how it looks on my Pioneer Woman cake stand. I simply used PicMonkey to create the little banner and a candle from the Dollar Tree. All of the decorations came from the Dollar Tree. I love that place for party decor. We didn’t go all out with balloons or streamers this year, but I’ve purchased those from the Dollar Tree in the past, too. 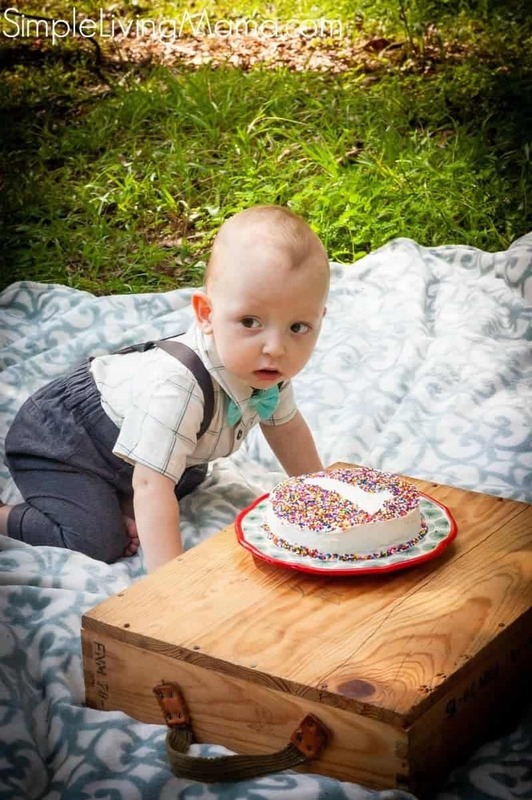 I was most concerned about capturing my little man on his first birthday, so I dressed him up in a cute outfit from Target and took pictures of him outside with his cake. 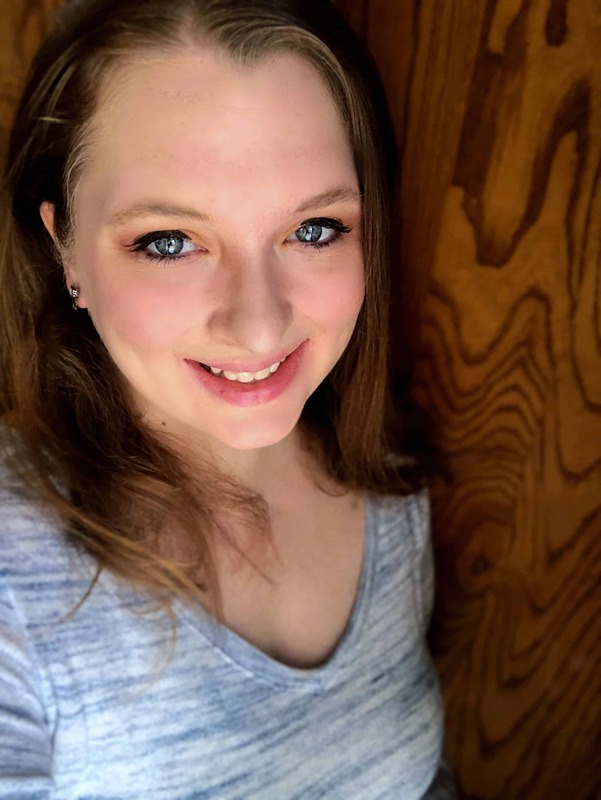 The pictures aren’t professional, but they are perfect for me. I do own a DSLR and have slowly been teaching myself how to use it over the past 8 years, but you could also take decent pictures with an iPhone. Study other first birthday images online and practice, practice, practice. Photography gets better with practice. I decided not to plan any games this time since we are new to the area with no family around, it was just the kids and my husband. We have done traditional games in the past, and the kids always enjoy those. By traditional games I mean Pin the Tail on the Donkey (or a themed version), scavenger hunts, and of course, a piñata. A one year old would enjoy a mini ball pit and the opportunity to play with balloons. 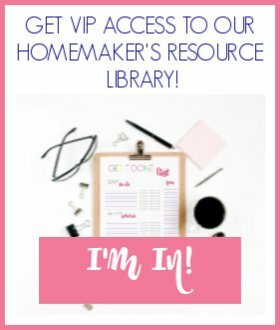 I have shared several of our birthday parties here on the blog. 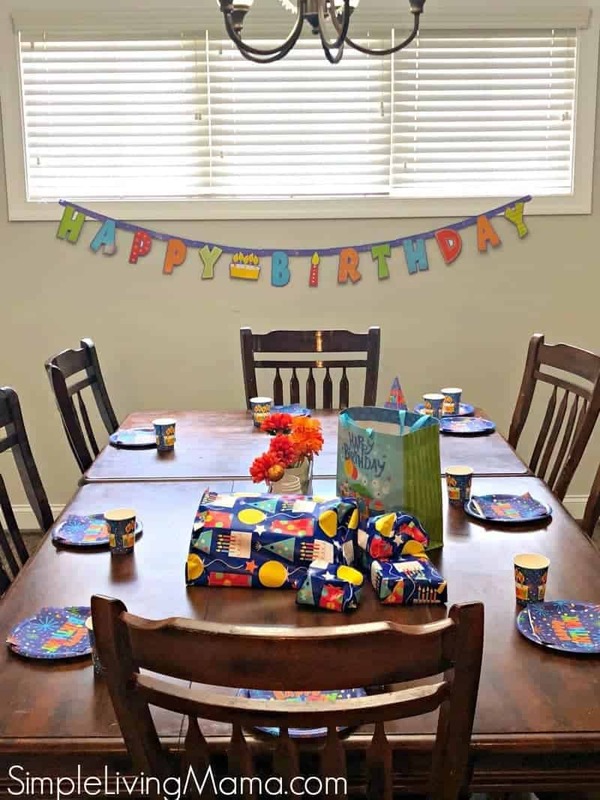 Are you prepping a birthday party? 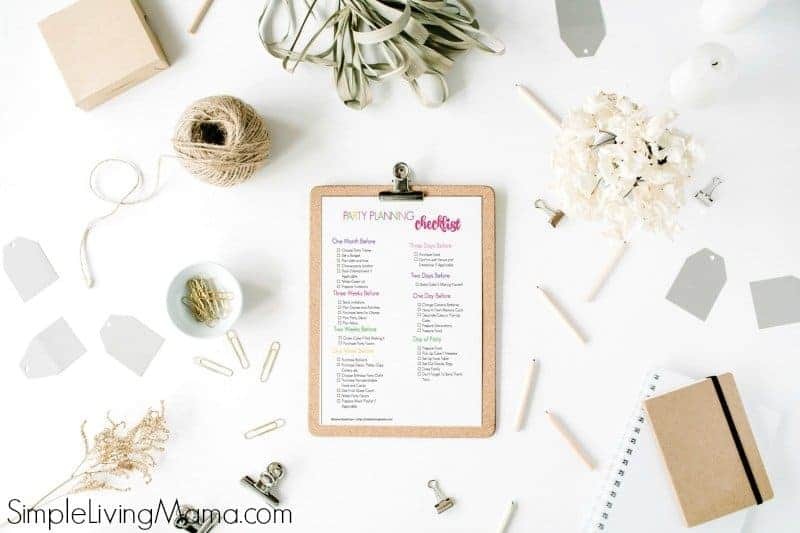 Head on over to the shop to snag my free printable Party Planning Checklist! Thank you! These are beautiful, appropriate party ideas! Most of us cannot afford the over-the-top, invite- 505-people-to-a-catered-dinner bash! But this is fun and festive! And wonderfully explained and photographed. Kudos!